Mount Lookout, Ohio is one of the Eastern neighborhoods of Cincinnati, just northwest of Linwood and overlooking the Little Miami River valley. The neighborhood is named for the Mount Lookout Observatory, which moved to the neighborhood in 1873. 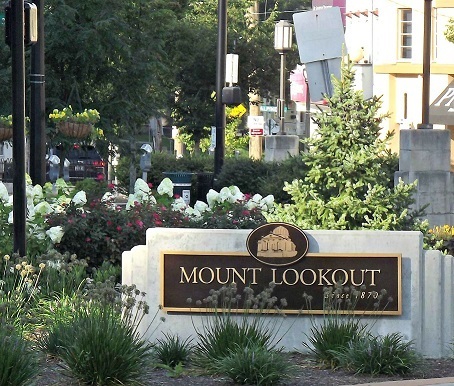 Mount Lookout's lively business district is referred to as Mount Lookout Square. Local restaurants and bars fuel a vibrant nightlife, while specialty shops, boutiques and small business serve daytime needs. Mount Lookout Tavern anchors the east end the Mount Lookout square and attracts college students from the several area universities (including the University of Cincinnati, Xavier University and Northern Kentucky University), as well as twenty and thirty-something working professionals. Zip's Cafe, established 1926, is one of the more well-known restaurants on the Square as its burger is continually ranked as a top burger in Cincinnati (5th best in 2015 by Cincinnati Magazine).